Not too long ago I picked up an Epiphone EM-1 and an unplanned Westone XA1430 (from the same seller). I couldn’t pass up the price and a project is always fun. 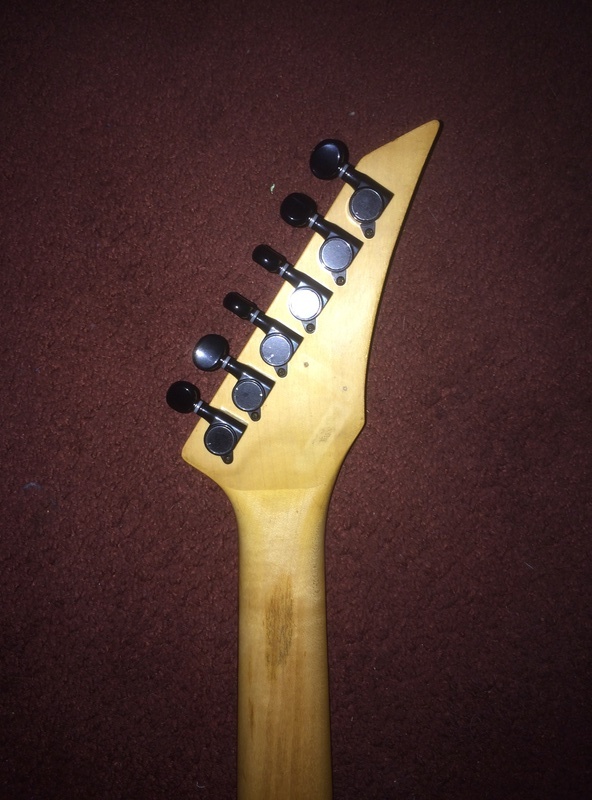 The guitar has no pickups, no switches, no volume/tone controls, nothing. I can’t find any wiring diagrams on this model nor on the WE7400, which seemingly has the same setup pickup/switch-wise. 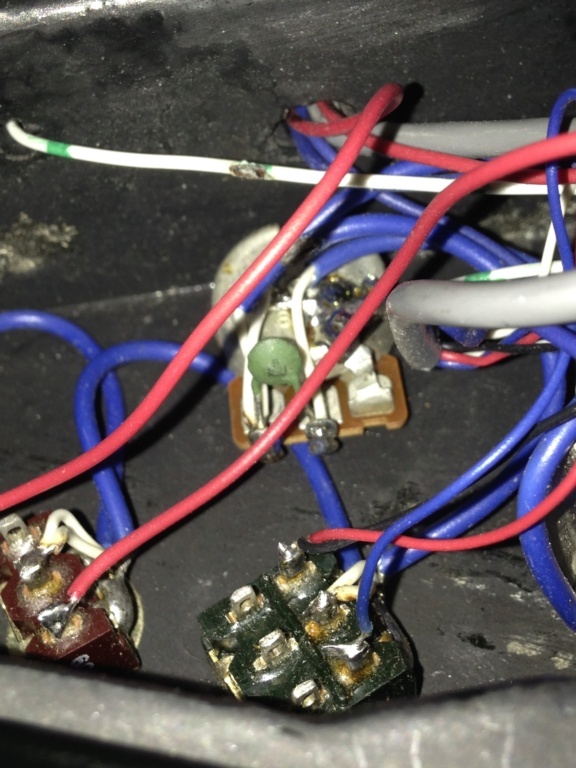 If anyone has seen a wiring diagram for a XA1430/WE7400 it’d be greatly appreciated if you could share the link or if someone could provide a diagram. Here’s some pics of the Westie. We don't have a wiring diagram for this specific Korean made model, but it should look similar to the GENESIS II, except for the number of toggle positions (5 selector instead of 3 toggles). That should at least give you some idea. You need to host the image with a free image hoster like ServImg.com and cut and paste the IMG URL here. holey guacamole that is some big font! 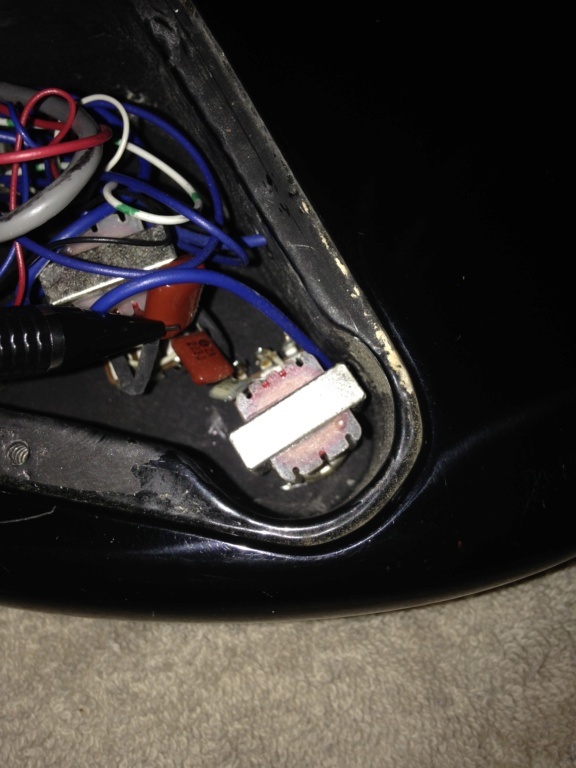 if you want to rebuild it as original, you will need to find another guitar with the unique tone-shaper circuit. 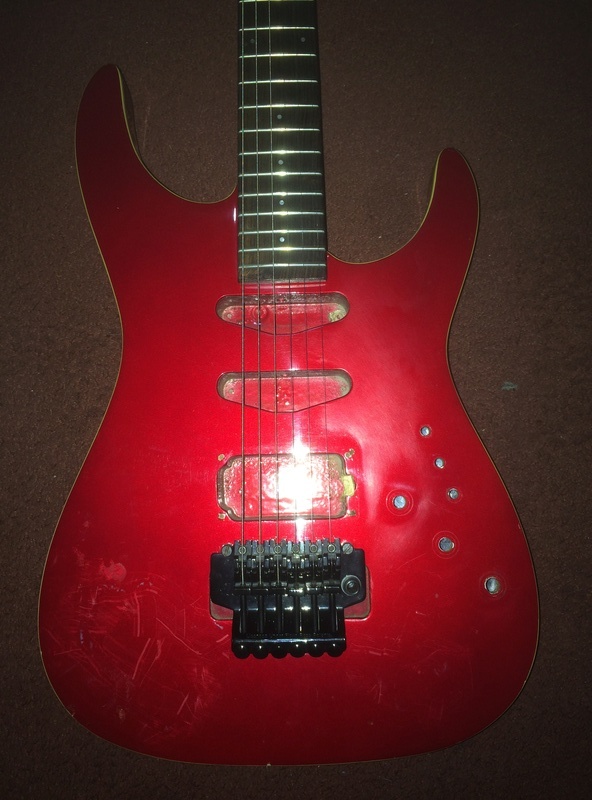 there is no diagram or specs for how to re-construct this circuit and there does not seem to be another guitar maker that has made anything comparable. for the mini switches, the setup is not complicated. 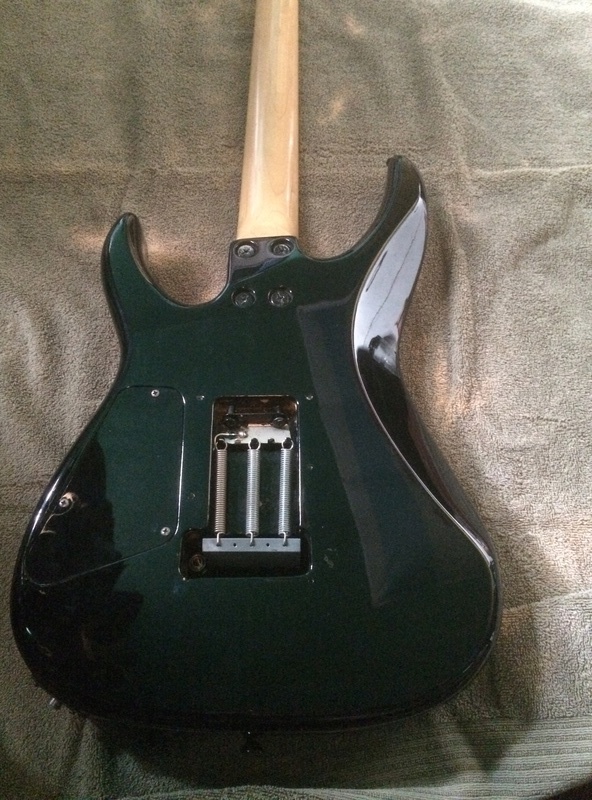 simple on (down)/off (up) for the neck and middle single coil pickups. 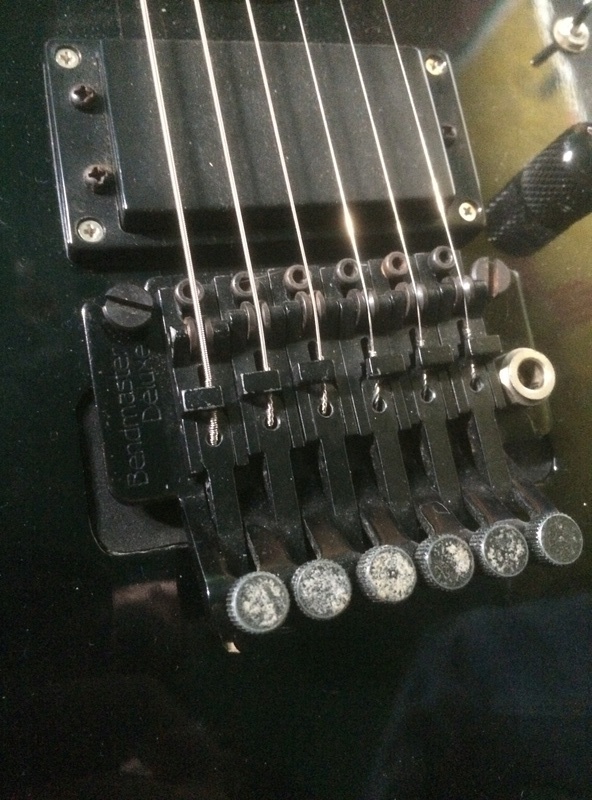 the humbucker bridge uses a 3 position switch to select (up) for humbucker,(middle) off, or (down) for coil split. 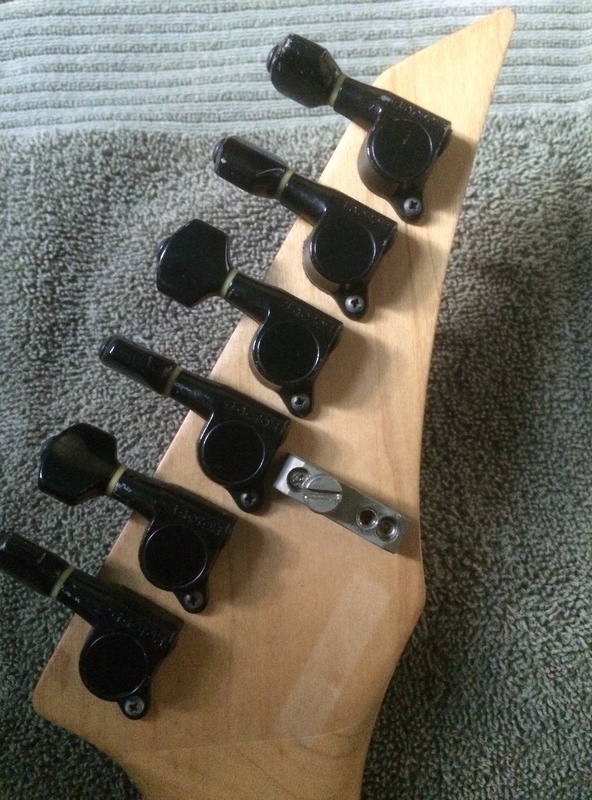 The switches are, as Mike says, on/off for the single coils and single coil/off/both coils for the humbucker. My Clipper 4112 is so equipped and I'm betting the circuitry is the same for yours. Personally, I don't like it and have often thought about getting rid of the poxy wee switches, and banging in a 5-way!! Nice guitar, too; looking forward to a pic or two and you're right, of course; nothing quite like nice project to get your teeth into!! My apologies for the font, what a great first impression. At least it was bold. Thank you all for the provided information. Now knowing the functions of the three switches that'll hopefully lead me towards creating a diagram of my own. If I create my own diagram I'll post it on here. As for the photos; yes, I did attempt to copy and paste them from my iPhone. I'm on my laptop now, so here they are. ... that's a Bendmaster Deluxe bridge, and it looks to be complete - great news! The stringlocks are missing their plates and shims, but you can either fabricate the plates or PM Sgt. Vimes! The shims you'll have to fabricate out of 1mm steel. That's a simply gorgeous colour, and a most excellent project; any idea as to what pickups you're going to nail in?? That's no Bendmaster Deluxe trem but a Floyd type replacement. Good observation, Westbone. 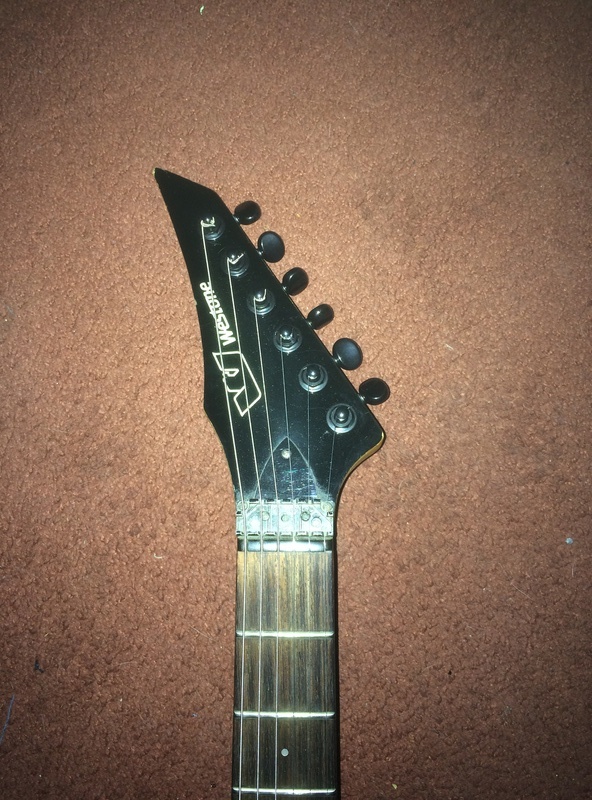 There's currently a Floyd Rose patented trem on it, not the original Bendmaster Deluxe that's supposed to be in its place. I've called all of my local guitar shops and I've had zero luck. Same with eBay and Craigslist for the exception of a few complete guitars equipped with that trem. The FR trem actually fits well, so I'm going to keep it on there until I find a Deluxe. I plan on completing the locking nut and finding an allen key holder; don't worry, it'll all be there eventually. As for the pickups... I've yet to decide what to use. I'm thinking of using some Seymour Duncans, but as to what combination I'm not too sure of just yet. Your better off with some Duncans or the like, the original p'ups are not too clever. You do see the Bendmster Deluxe trems occasionally on ebay, good luck. So it is! The TRS-101 was used alongside the BDLX on the MIK models - perhaps it's one of those? Bear in mind, too,that the official specifications are only really a guide; they're not holy writ as Matsumoku was infamous for chopping and changing hardware, and I'm sure that the Koreans used what they had laying about, too! Bendmaster gear turns up on eBay from time to time, not so much these days, if I'm honest. Tonerider, Kent Armstrong, GFS... there's a swag of mid-priced pickups about that sound great without busting the bank! The OEM single coils are quite nice, but h/b isn't a true h/b - if it's like my Clipper - rather it's 2 singles nailed together... it's still a poxy switching set-up, eh!! 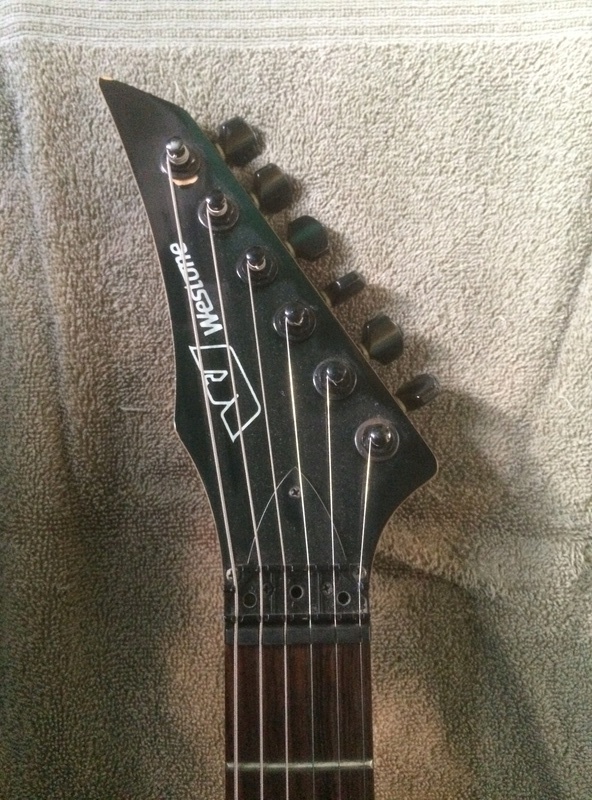 I was told that the trem was pulled from an Ibanez, but I’ve no way of confirming that, as I see no Ibanez branding. Nonetheless it’s not the original to the guitar. I’m keeping my eyes peeled on eBay and Craigslist. I’m contemplating on using some Seymour Duncan SSL-1 and SSL-1 rw/rp pickups in the neck and middle. As for the bridge, I’m think of either a Seymour TB-16 or Seymour TB-APH1. I’m going to go to my local Music-Go-Round and see what the guys over there recommend. I located and purchased this the other day. I'll be working on creating a wiring diagram. My apologies for the shabby photos. Congrats! 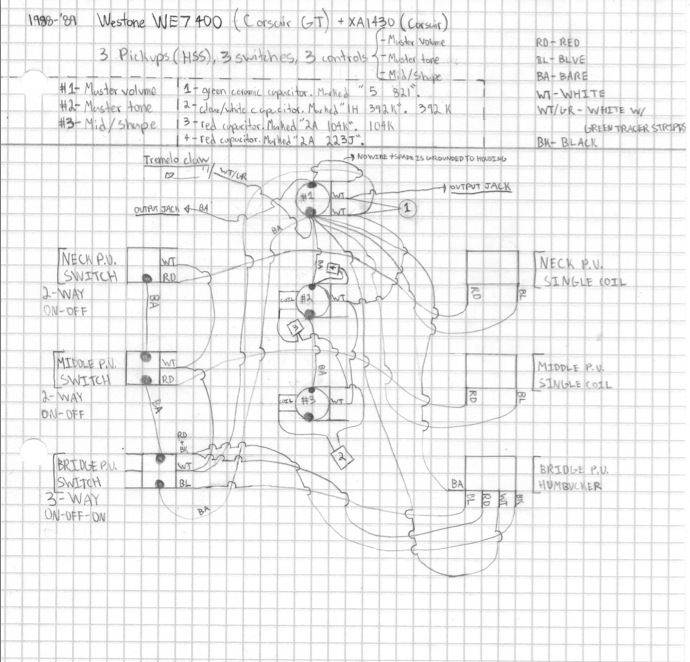 And thank you for taking the time to make a wiring diagram. I apologize for the long wait, but I have completed a diagram based off of the black Westone! 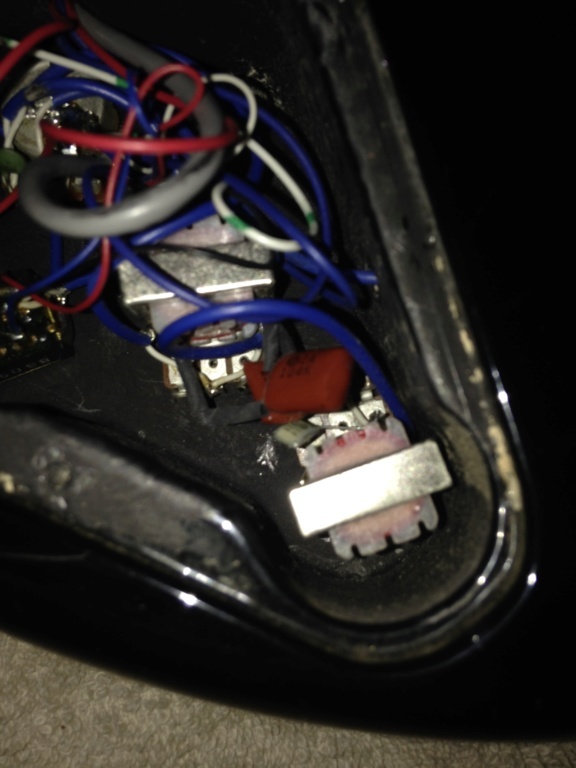 From the looks of it, it is a Corsair GT (WE7400), but the vibrato is incorrect, as it has a Bendmaster Deluxe. Corsair GT's utilized Kahler Spyder 2710 tremolos - according to the 1989 "New Horizons" catalog. 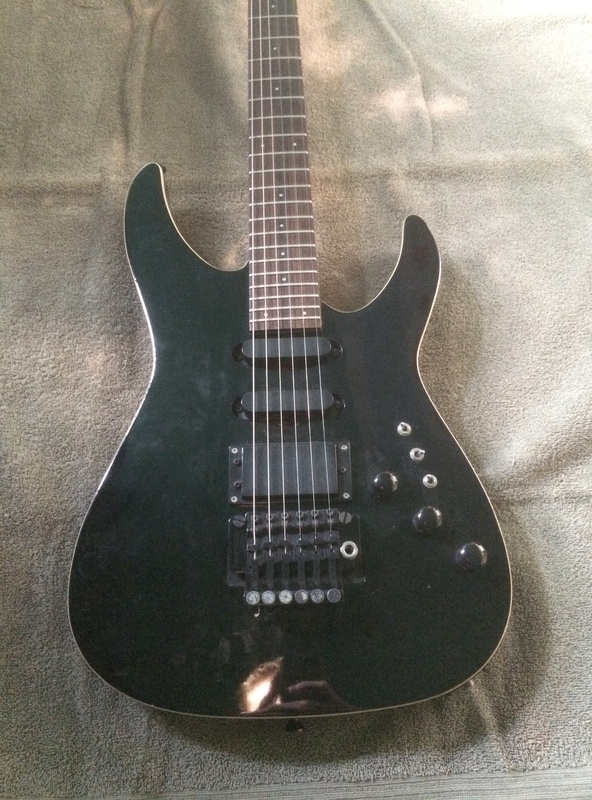 I suspect that it could be a Corsair (XA1430) that someone bolted a 24 fret neck onto; but it is black. According to the 1988 "Limited Editions" catalog, they only came in BUP (Burgundy Pearl), CR (Candy Red) and SBL (Sky Blue). If anyone can offer information it'd be greatly appreciated, as I plan on selling it and I would like to title it accordingly. I digress. 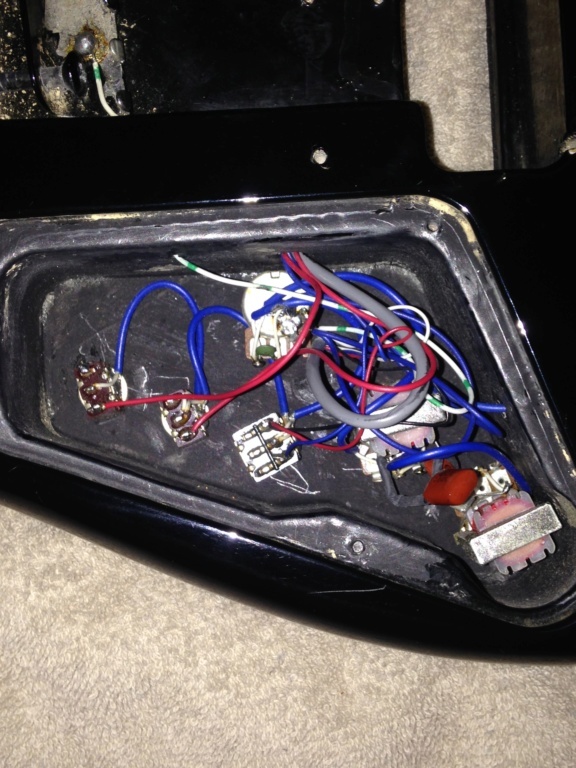 Following the image of the diagram I've attached some photos of the actual wiring from the guitar. I hope this can be of use to someone! Hey thanks for that man! I'll post your sketch to the website when I get a minute. Member contributions are what keep this site alive! Schematic and photos are now online. Thanks!